Join us at the Tallahassee Farmer’s Market Fresh Fun, This Saturday! Spring has Sprung and we are pleased to join our local farmers and producers at the Tallahassee Farmer’s Market, 1415 Timberlane Rd (In Market Square). March 30 at 9:30am. Join us at the Tallahassee Farmers Market for a fresh and free demonstration of seasonal, local produce. Chef Jessica from KitchenAble will be preparing and sharing samples of “fresh picks”. 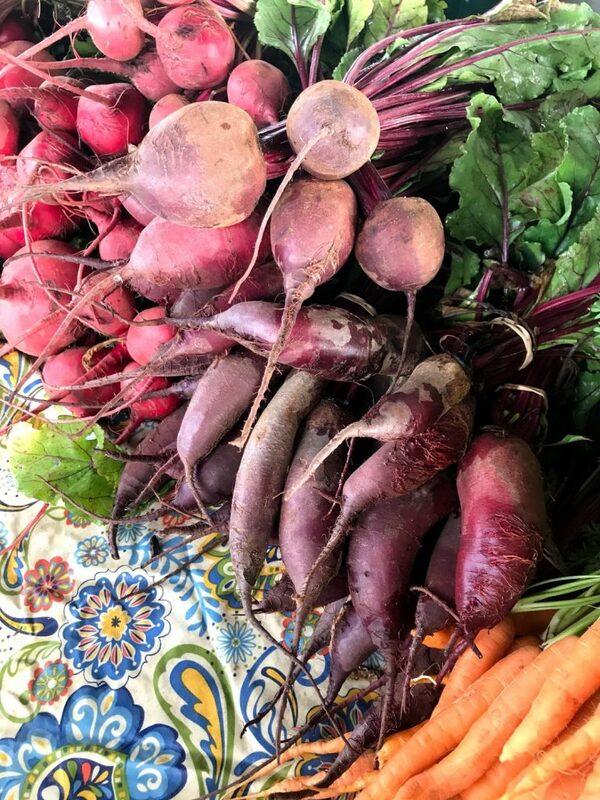 Items demonstrated will be available for purchase from the farmers at market but quantities are limited so come early and shop from the week’s harvest. Market is open 8am-Noon. Summer camp registration is now open and reservations usually fill very quickly! We are planning 4 sessions of camp. If you have a young chef that wants to join us in the kitchen, please don’t wait to register- we usually have a wait list. Thank you so much for the enthusiasm! A broad range of topics will be taught that include: kitchen safety, basic kitchen skills, basic knife skills, menu planning, nutrition, baking basics, how to understand (and follow) a recipe, and proper dish washing technique. During most of our time in the kitchen we will teach through demonstration though the participants will take turns as helpers for “hands-on” experience. Each week has a limited number of participants. Your non-refundable deposit of $75 will act as a reservation for the specified week, for one child. Your balance of $175 for the remaining fee and necessary paperwork are due by June 1st. 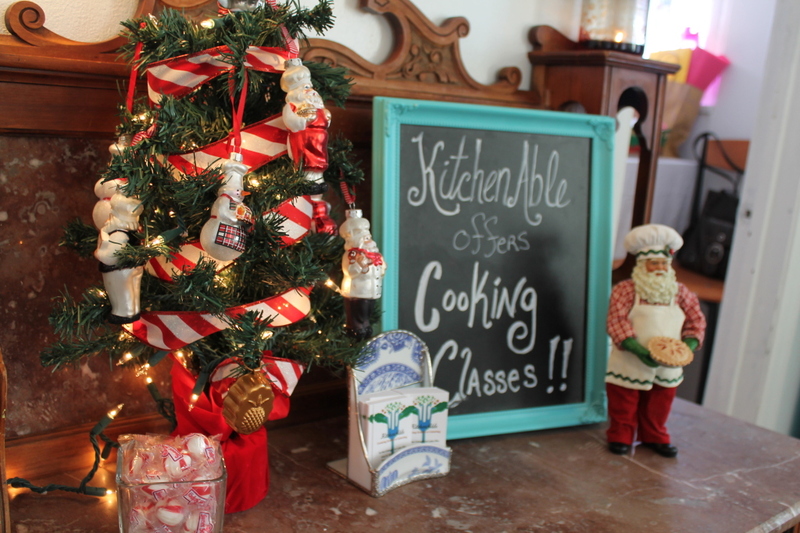 Participants will receive an apron, a recipe packet, and certificate of completion at the end of their week. Total cost for each week of camp is $250 per participant and includes a delicious meal each day, apron, and recipes! 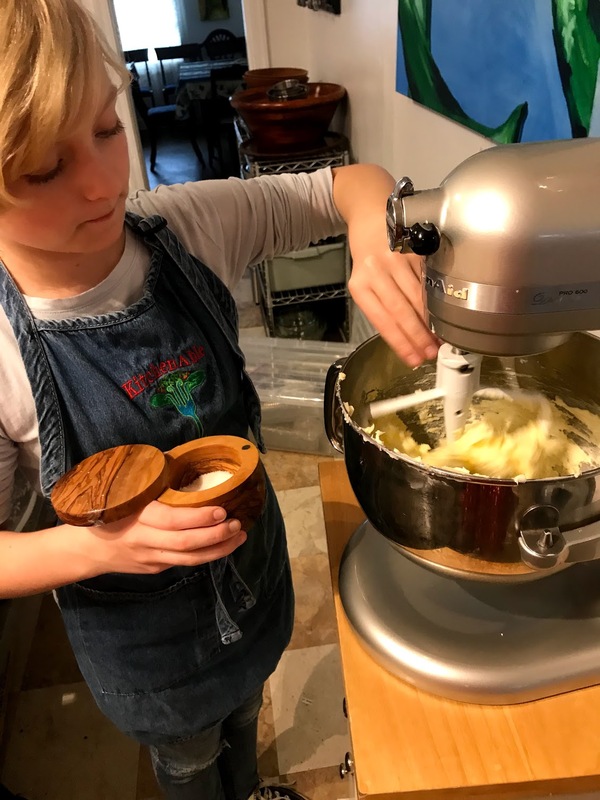 Please note that this is a group learning environment and that although we do have a hands-on activity scheduled each day the majority of class time will be demonstration as participants take turns in their role of kitchen helper. 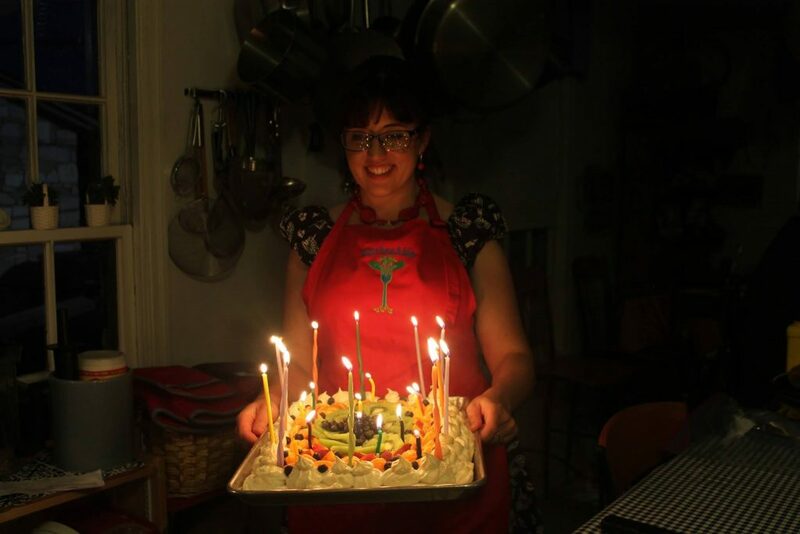 If your chef needs more supervision or has difficulty with patience you may prefer to book a private lesson for them. You can email us for further details. KitchenAble will be open for lunch tomorrow with Irish Food at the Irish Festival! 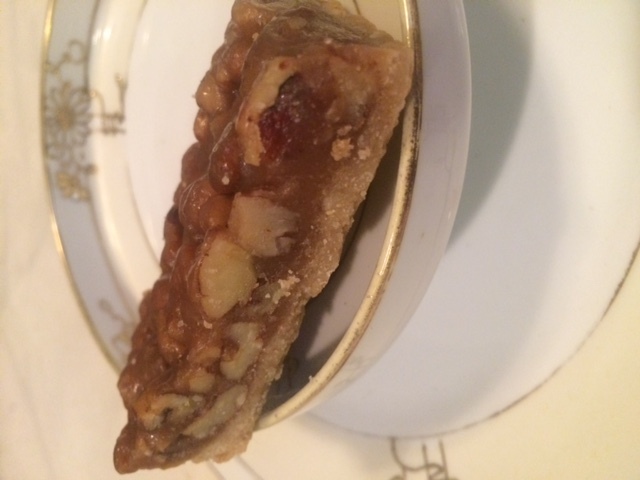 At KitchenAble we will be offering a delicious array of Irish Foods for purchase including: Guiness Stout Cake, Irish Whiskey Bread Pudding, Irish Lamb Stew, and Shepherd’s Pie! Thanksgiving is almost here! We can help. 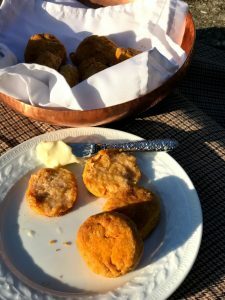 Sweet Potato Biscuits- These sumptuous Southern treats are made using fresh sweet potatoes, Greek yogurt, and a little cinnamon. 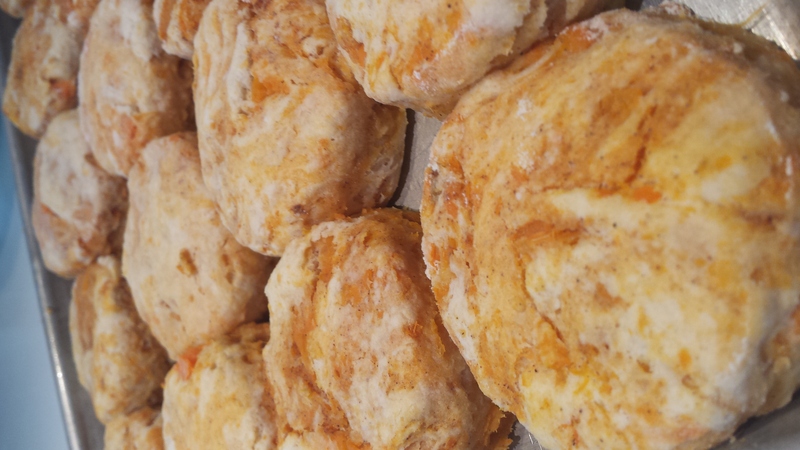 They will be baked fresh on Wednesday afternoon and can be refrigerated or frozen. 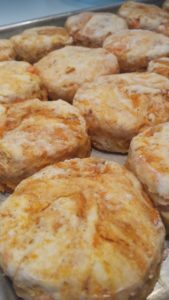 Price is $18 for 12, 3″ biscuits. Skillet Cornmeal- Jessica has had more marriage proposals than she can count for this dish. Locally ground Bumpy Road Cornmeal is baked in a cast iron skillet to achieve buttery, golden perfection. A 9″ round is $18. 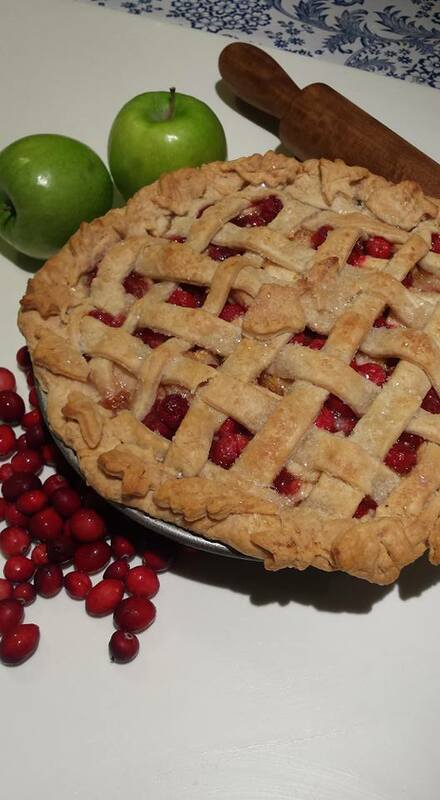 Cranberry Apple Pie- Our famous, all-butter pâte brisée crust is woven over a tasty combination of fresh apples, fresh cranberries, and citrus zest. Price of $30 is for a 9″, deep-dish pie. 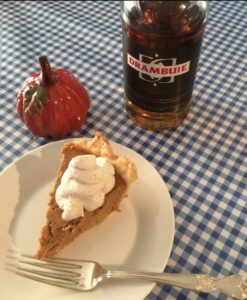 Butter-scotch Pumpkin Pie- Drambuie,(the famous liquor made with Scotch whiskey, honey, herbs, and spices), elevates the flavor of this seasonal classic beyond what you can imagine. Tucked into our all-butter crust the creamy pumpkin filling is luscious. Price of $28.00 is for a 9″ deep-dish pie. IF YOU WISH TO ORDER ANY OF THE ITEMS ABOVE FOR THANKSGIVING (or any other items): Please email info@KitchenAble.net or call (850)264-2308. Prices do not include sales tax and items ordered will need to be picked up in our cottage on Wednesday (between 5 and 6pm). Quantities are limited so please don’t delay! 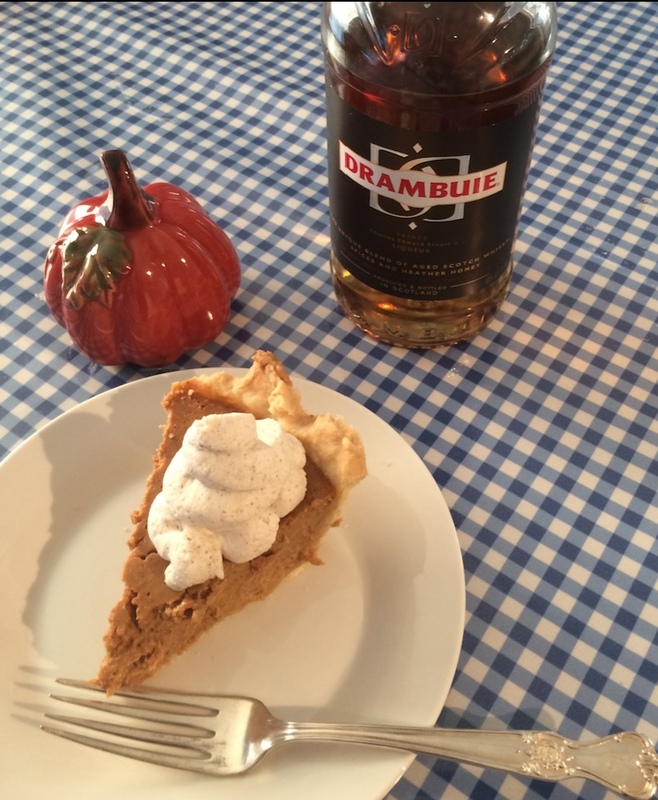 Need a little help this Thanksgiving? Skillet Cornmeal- Jessica has had more marriage proposals than she can count for this dish. 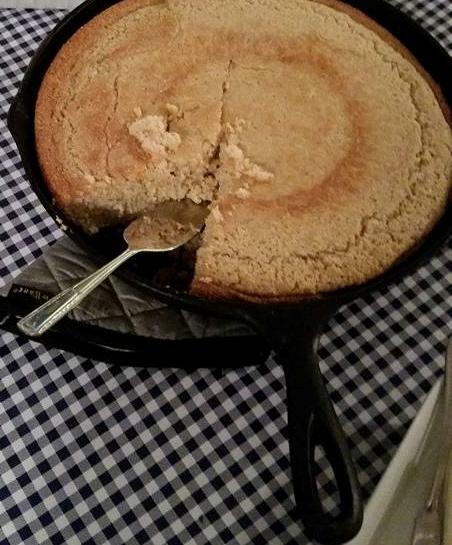 Locally ground Bumpy Road Cornbread is baked in a cast iron skillet to achieve buttery, golden perfection. A 9″ round is $18. 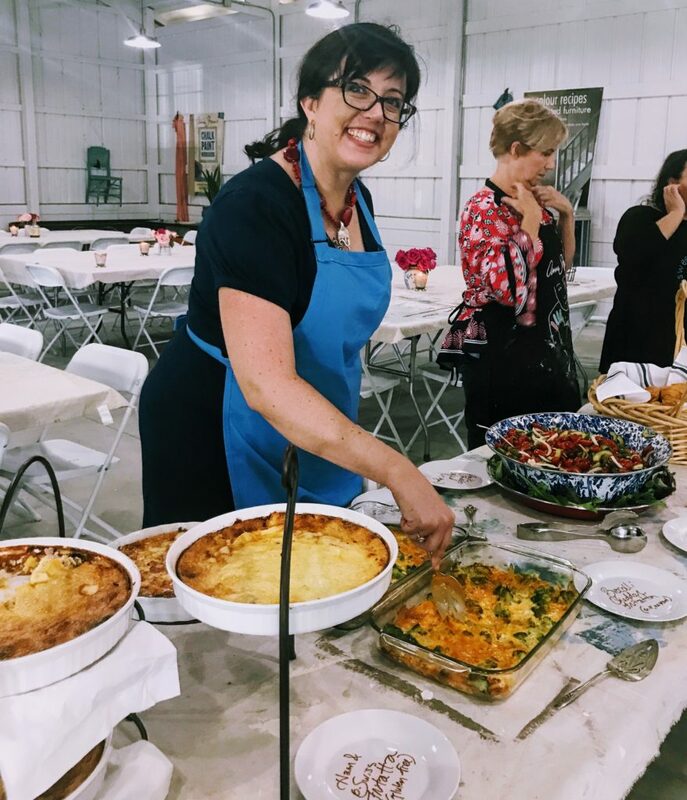 The French Country Flea Market this year was beyond extraordinary as the chalk paint and decorating legend herself, Annie Sloan, participated (and I have to say, she is delightful). Annie crossed the pond and joined us in person for the two incredibly warm days of the market. The following Monday she taught a workshop at Sweet South Cottage. When Sweet South asked us to cater that luncheon- we were thrilled. 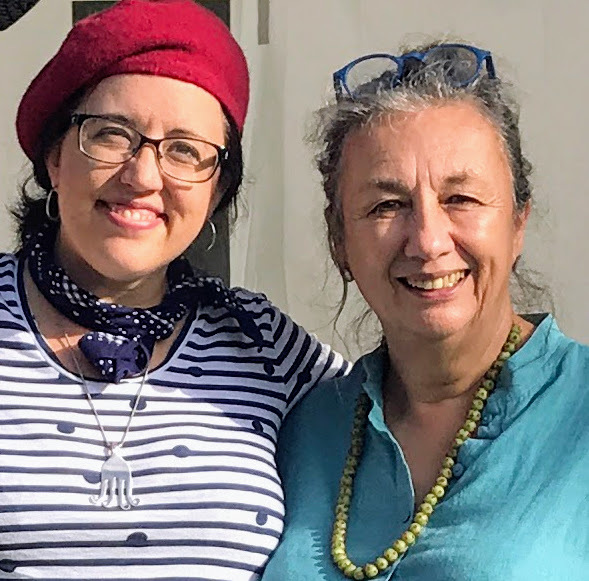 We were also delighted to meet Diane Henkler of the blog InMyOwnStyle.com and she happened to mention us in her post about coming to the event (thank you Diane!) (and click here to read her post). 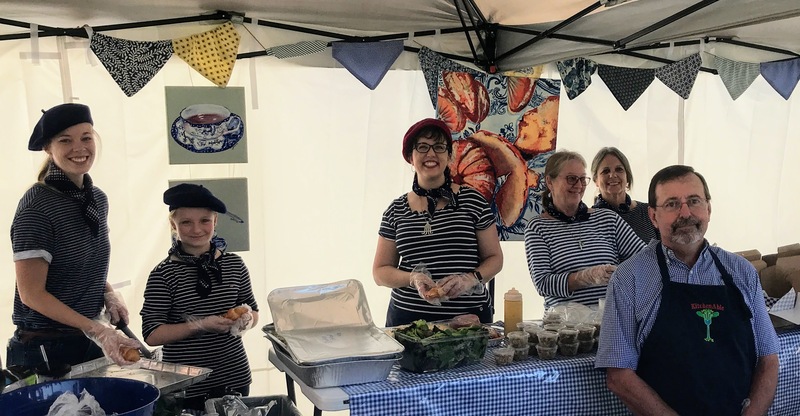 Merci Beaucoup to our WONDERFUL market crew! If you receive the Tallahassee Democrat… you may have noticed an article on the front page of our local section today(find the article here). 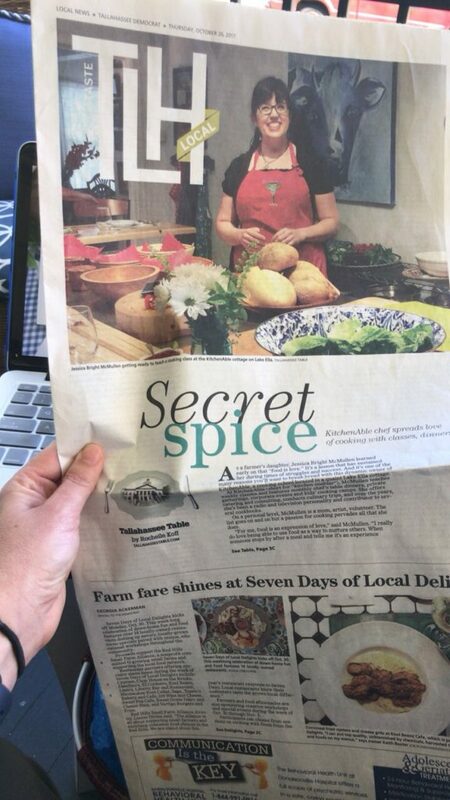 Special thanks to Rochelle Koff for taking the time to write about KitchenAble. 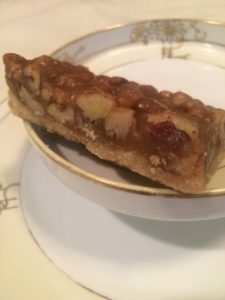 If you haven’t visited her blog yet, Tallahassee Table (click here to read her post) , we recommend you do so to find out more about the local food scene. 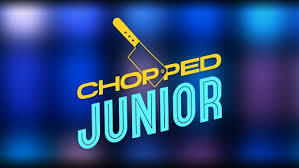 This Sunday we hope to see you at the Chopped Jr. event being hosted at The Moon to benefit Whole Child Leon, we are a sponsor and will be participating in the restaurant challenge! And, finally there is one more bit of very exciting news that we will be announcing next week. It is almost official enough to share but you’ll have to wait a few more days. Very soon we’ll be letting you know about a very large project we are excited to launch. Thank you so much for supporting KitchenAble and for joining us in the kitchen. Time to Celebrate Local Flavor! 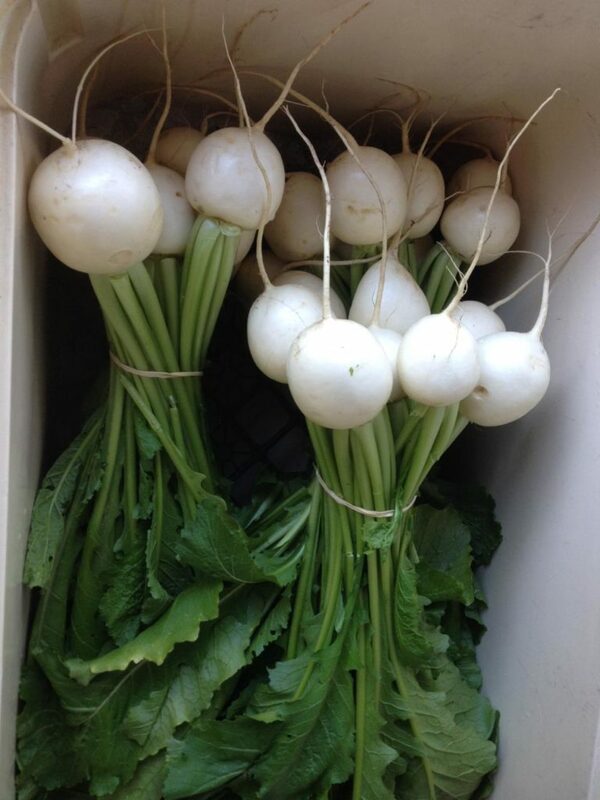 We love fresh, local produce any time we can get it… and living where we do, there is alway something in season! Once a year though, we officially celebrate these fabulous flavors with the Red Hills Small Farm Alliance and Seven Days of Local Delights is the week-long “tasting holiday” for our community. This will be our fourth year as an event host and we’ll be offering two separate events that we hope you will join us for. On Wednesday, November 1- we will host a Farmer’s Market Tour and Tasting at 3:00pm– Our cooking class will begin with a stroll from our kitchen to the Lake Ella Farmer’s Market. We’ll meet the vendors, learn about the products they offer and discuss strategies for successfully for shopping at our open air farmer’s markets to support our local producers. After the tour we will return to the demonstration kitchen to prepare and taste some of our seasonal items. On Friday, November 3, at 6:30pm We will host a “Chef’s Table- with a Farmer” dinner– During this Friday night cooking class, one of the RHOM founders, Louise Divine of Turkey Hill Farm will join us with a big, beautiful basket of fresh produce, and together with Jessica our chef, (who happens to be a farmer’s daughter) will talk and cook through all of the fresh ingredients. You will leave with a full stomach and a better understanding of our local agriculture, how to navigate local markets or shop from a CSA. The menu for this class will be determined by the “cream of the crop” at the moment but will include an ample 5 courses: a Ploughman’s Board, a delicious salad- fresh from the field, Scotch Eggs, turnips au gratin, Roasted organic local chicken, and for dessert Louise has promised to share her incredible Sourdough Chocolate Cake recipe. Reservations are required for this delicious event- we hope you can join us!